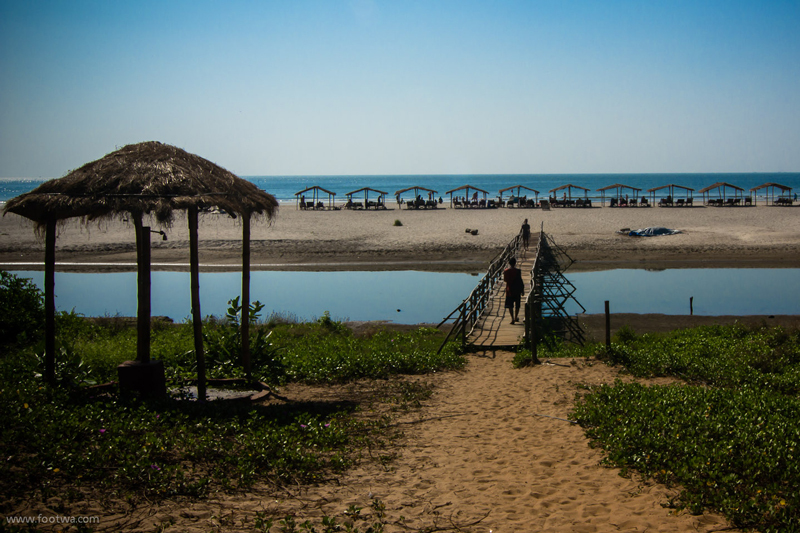 Goa is one of India’s most popular regions for tourism, and this is no accident. While all of India is filled with incredible things to see and places to visit, Goa caters a little bit more to the recreational traveler with its pretty beaches, local foods, and numerous attractions. Accordingly, this is our own brief list of some of the best ways to have a great time if you end up traveling there. In addition to great beaches, Goa has become famous for its watersports. Indeed, one site looking into it listed 14 different sports and activities visitors could try, from kneeboarding and kayaking to banana tubing and flyboarding. There’s a ton of activity on the coast in this region, so if you’re a more active vacationer you can fit in workouts and sports to your heart’s content. The beaches are the main draw in Goa, so this mostly goes without saying. But just because they’re the main headlines, don’t overlook the beaches as specific destinations and attractions. If you’re looking for one in particular, Palolem Beach is sometimes cites as the best of the bunch, but if you’re interested in a more leisurely getaway you’ll want to spend some time at a few of the different options. There’s a bit of a worldwide movement against conventional casinos going on. It’s not as if this is organized or even particularly effective – but alternatives have grown quite sophisticated. Poker tournaments are worldwide, slot games are presented in 3-D graphics, and real money games are now available via app. On the flip side of this argument, however, you could say that no mobile casino takes you on a cruise through the waters of the Goa shores! The area’s famous casino cruises make for excellent entertainment, and can be enjoyed by gamers and leisure-seekers alike. The coast gets so much attention in Goa that many overlook the fact that the lush green interior of the region is every bit as beautiful. And as you guessed from this heading, there are some truly incredible waterfalls you can visit on various excursions and hikes. Hivre, Tambadi Surla, Netravali, and Dudhsagar are four of the big names you might want to seek out. The idea of touring temples might not immediately strike you as a “fun” thing to do, but it’s all part of the culture and history, and you may be surprised how much you enjoy getting to see them. The famous temples of Goa include a variety of architectural styles and designs, which makes each one different to visit. The full tour is fairly delightful, all things considered. Goa is also known for its wildlife, much like many other regions of India. You won’t necessarily see much of interest out and about on your own, but several wildlife sanctuaries in the area – Bondla, Cotigao, and others – give you the opportunity to see crocodiles, exotic birds, tigers, panthers, and primates. If you’re interested in this sort of wildlife, Goa will not disappoint.